‘Gilnahirk’ tells the story of how the village environment which once existed has changed through urbanization and also recalls some of the people, organisations and events in the locality. There is the widening of Gilnahirk Road, Havard’s Brae Stores, the history of St Patrick’s College, Tullycarnet National School, the shopping centre, the Stye Brae blacksmith’s forge, Gilnahirk Presbyterian Church, St Dorothea’s Church of Ireland and Hillmount Garden Centre. In the late H. Crawford Miller’s book ‘The Church on the Stye Brae’, according to tradition families first met for worship in a thatched cottage which stood in the vicinity of the front gate of the present Gilnahirk Presbyterian Church (the Meeting House on the 1858 Ordnance Survey map) in an area known as the ‘Stye Brae’. That name for the place was used by many of the older members of the church congregation up until the 1930s when the more familiar name of Gilnahirk, previously spelt Gillienahirk, became accepted. Gilnahirk means the ‘hill of the hornblower’ from old Irish Eudan-Giolla-Na-Hadhairce. The Wikipedia website entry for Gilnahirk explains that the name apparently goes back as far as the Middle Ages when it was necessary for an area to have a watchboy called a ‘gil’ on top of the highest hill or ‘hirk’ to look out for incoming enemies. 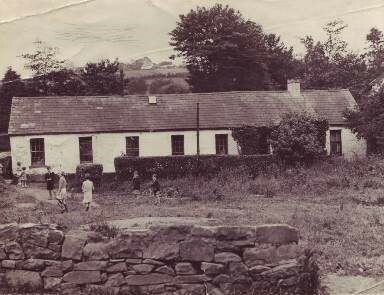 Another interpretation has been provided by Canon Joseph Conway who has written in his book ‘St Patrick’s College, Knock, Belfast 1967-1985’ that Gilnahirk, if written in the original Irish, would be Cille-na-h-Earca meaning ‘the church of the Earca’. The Belfast News-Letter carried an article on June 10th 1927 entitled: ‘Belfast, The Ramblers Paradise. A delightful country walk via Gilnahirk to Dundonald’. It provides a flavour of the locality of 80 years ago: The walk commences at the Knock Road tramway stop on the Upper Newtownards Road which can be reached by tramcar from the centre of the city in twenty or twenty five minutes. A short walk down the Knock Road brings us to King’s Road. Here we turn left and proceed over the railway bridge and down the hill to the junction of the old Comber and Gilnahirk Roads. Bearing off to the right we come in less than a mile to the pretty little village of Gilnahirk having passed on our right Tullycarnet School, a whitewashed little building of the simplest architectural design. Nevertheless it always looks very spick and span and the present headmaster Mr. H. J. Tweedie, B.A., is carrying on with quiet efficiency, the work, which has proceeded there since the school was erected in 1839. Wandering on we come to the Presbyterian Church standing at the foot of the village street. A stone tablet on the tower bears the inscription ‘Erected 1787; Rev. F. Pringle, Minister. Rebuilt 1845; Rev. John Coulter, D.D., Minister’. Considerable improvements have been carried out in the old building of late years and it is now a model of what a country church should be, bearing the impress everywhere of constant care and attention. Its sacred acre is beautifully kept and flowers everywhere make their silent appeal to the passer-by. 25 years later on 23rd August 1952 Ireland’s Saturday Night, The Pink carried a piece entitled ‘Country bus to the Braniel’ and again the view of Belfast seemed to bring out the best in the author: The terminus is Mann’s Corner and here I am after a brief trip from the City Hall dumped definitely in the heart of the country and right on top of the hills. To the right is the Upper Braniel Road with its ups and downs on a high ridge. The views are marvellous and plentiful. A brilliant evening sun is throwing dazzling rays over the ridge – a patchwork of lights and shade. From the top of the hill there is the sapphire of Strangford Lough, the emerald of the Ards and the pearls of white farmhouses. Then there is the unchanging mystery of the Mournes in the distance. The whole world seems spread around you and you can breathe the air of freedom only a half-hour after catching a bus from Donegall Square West. Another few hundred yards and there are the other mountains – a solid purple black wall against a golden yellow curtain of sun-slashed clouds. Below there in an almost hidden valley with the dim shapes of the city’s chimneys under a vague mystery of grey smoke. 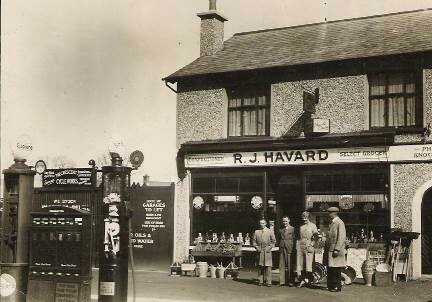 Hillmount Garden Centre was established by Hill Mercer on Upper Braniel Road, Gilnahirk in 1940. 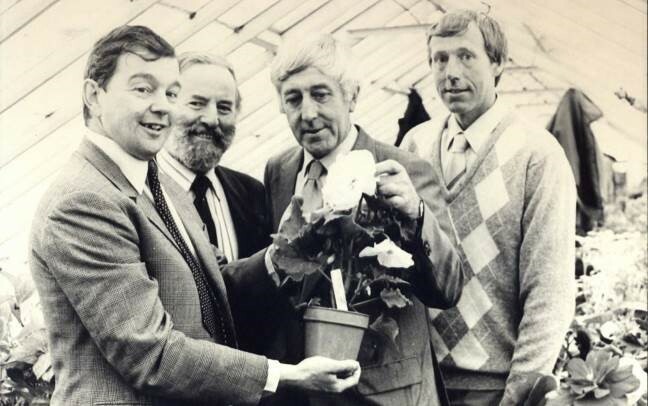 In 1984 Lord Lyell was Minister of Agriculture and he paid a visit to Hillmount along with local radio and TV horticultural personality Crosbie Cochrane to view the season’s latest pot plants and meet proprietors Trevor Mercer and a youthful Robin Mercer. hi I am trying to find out where I can get a copy of the late H. Crawford Miller’s book ‘The Church on the Stye Brae’. My wife worked with Hugh when we were younger at the dentist surgery at Susan street, Belfast. Hugh took photos for our wedding in 1988. and my wife would love to have a copy of his book,. You may know that H.Crawford Miller passed away a few years ago. He seemed to prefer the name of Crawford rather than Hugh. I met him on several occasions when I was researching my book on Gilnahirk and he was really knowledgeable about local history. He also mentioned that he had worked as a dental technician. Please keep me updated. Lived at 40 Geary Rd and now live in Geordie Land. 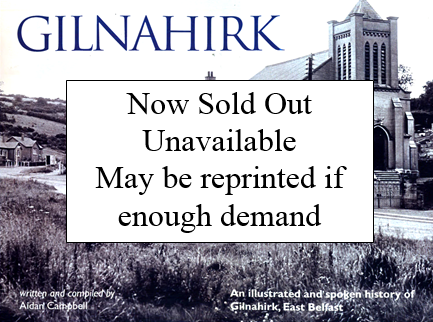 ‘Gilnahirk’ has been out of print for some time but I may re-publish if there is enough demand. I have recently received fresh material about the area to update the story. I would love a copy of the book Gilnahirk. My granny was Mary Close Upper Braniel and she had a picture of a Mr Munn with a funeral cart on her wall.. I have a photocopy of it. I now live in Canada but lived in Gilnahirk until I was 22 – would love a copy of the book.